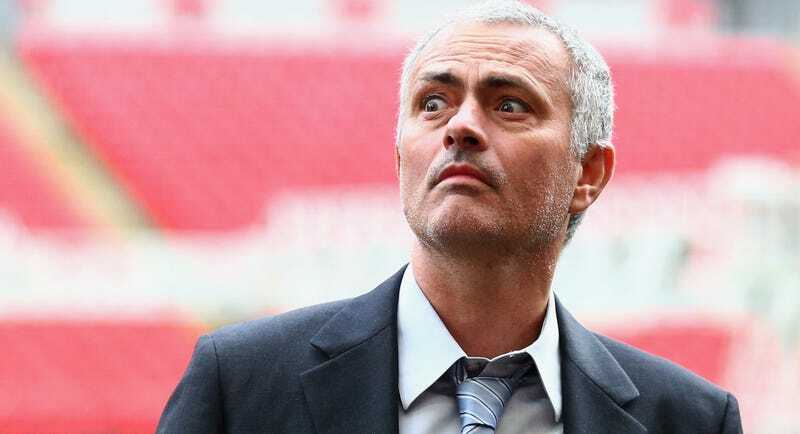 Report: It's Mourinho Time, Baby! The best parts of the first half of this very weird Premier League season were most certainly Chelsea melting down and playing like dogpiss and also all the wacky hijinks José Mourinho got himself into. Now, according to El Pais (Sp. ), our hero has signed a “pre-contract agreement” with Manchester United that guarantees he’ll become the manager this summer or they’ll have to pay him up to £15 million (over $21 million) as a “Whoops!” penalty. This means we’ll probably get Pep Guardiola and José Mourinho back in their natural habitats (in a rivalry with each other). They are clear opposites, they don’t like each other, and I can’t wait for the fun to resume on English shores. Which United star will Mourinho run out of town as a show of power, the same way he does with every club he arrives at? Smart money’s on Wayne Rooney.